Why Should You Avoid Clichés in Writing? In this day and age we really should be aware of the clichés to avoid in writing but often the advice of our tutors to write something truly original will fall on deaf ears. Whether you are writing your own novel or an application essay to college we often fall into the trap of using clichés. These are tired and well-worn expressions, idioms, and metaphors that just seem to get repeated over and over within our writing without any real thought. We use them more often than not because they are easy. They are descriptive phrases that are there in our minds just waiting to leap onto the paper as they are so much easier to use than coming up with something original of our own. See also: tips on writing an integrative paper. So why do we avoid clichés in writing? Imagine if you are sat on the committee of a nursing school and every application starts off “ever since I was X years old I have wanted to be a nurse…” and then goes on to explain how the applicant “wants to help people…” How many would you read before you were tearing out your hair? Would you really be able to read through to the bitter end if you just saw the same tired information repeated over and over again? How would you be able to select someone to accept your course if they all used the same wording? Consider also other forms of writing; many readers of fiction will be in the same boat. Many stories just reuse the same tired plots and wording over and over again. If you want to get the attention of the reader and to make them think then you really do need to get things down in your own very unique words. Of course, this introduction is full of clichés and we hope that you were able to spot them and that what we will tell you will be able to get this bad habit nipped in the bud. You need to go the extra mile with your writing and to avoid clichés at any cost. Check also on another important thing about your writing: literature review title, to make your review top-quality. An easy way to get to understand what clichés are is to simply look at a list of some of the most commonly used clichés so that you know what they are. Clichés are in many ways as bad as plagiarism. You are borrowing what others have written without bothering to put any real effort of your own into your writing. Using clichés is lazy writing as well as being often boring for the reader. While it can be almost impossible to catch every cliché that you may have used within your writing you must put in the effort to get the most obvious offenders out of your text. Spotting their use, however, is not always as simple as you would like. Using clichés is like using a stock phrase, just like a stock image. You need to question everything that you have written. If you think that you may have heard someone else use something similar then you probably need to revise what you have written. Look at everything that you have written very closely, especially descriptive phrases and think if you have ever heard them before. While using a cliché may not be the end of the world it is not a good habit to get into. One way to spot them is to use one of the many checkers that you will find online to check for clichés. A cliché checking free tool will help you to quickly highlight any clichés that may be in your work and allow you to revise your writing accordingly. Don’t miss a chance to upgrade your writing skills and learn the plot cliches you should avoid like the plague here. Submitting work that is heavily laden with clichés is not going to help your grades, nor will it help you achieve your aims through your writing. Our writing experts are able to support your writing by providing you with all of the help and support that you may need to produce writing that is totally unique to you. They work with you to fully understand your specific needs and will tailor the support that they provide accordingly so that you get very targeted help so that your writing will be exactly what you need. 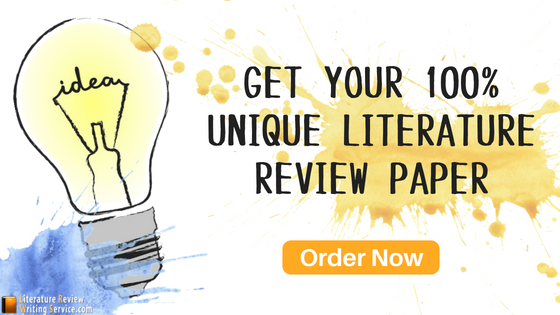 Wheather you need a help to write literature review on motivation or research review, we provide you with unlimited revisions on all services so you can request any changes that you feel may be necessary. All writing is carefully proofread by certified experts and we will also provide you with a plagiarism report to show that it is unique to you and not copied in any way. Our services come with a full satisfaction money-back guarantee and will always deliver high-quality support to you on time and at a price that you will be hard pressed (cliché) to beat. If you are not sure about the clichés to avoid in writing and really want to make an impact just contact our specialists here today for help that you can trust fully!